Individual’s colonization of microbes in the gut is by birth, and there is a complex interaction between the gut microbiome and human. This interaction happens at various levels like genes, transcripts, proteins, and metabolites of different microbes present in the gut. The complete understanding of gut microflora can be studied using systems biology. Further, the contemporaneous information revealed by systems biology can be used for metabolic engineering of gut microbes. The engineered microbes having more pronounced activity helps to rejuvenate the gut microflora that plays a significant role in the management of various life-threatening diseases due to microbial imbalance. This review highlights various systems biology and metabolic engineering approaches. 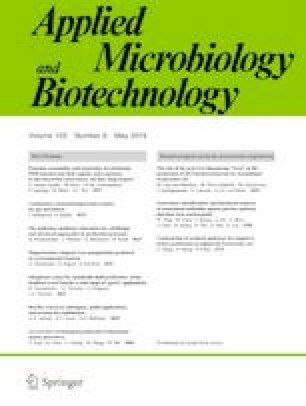 Moreover, this review can also emphasize on the different computational simulation models which can be further used in the efficient engineering of gut microbes. The genetically engineered models can help one to predict the significant pathways present in microbes that can be modified towards diseases treatments. The authors acknowledge the Maharshi Dayanand University, Rohtak, India, for providing infrastructure facility. PS acknowledges the Department of Microbiology, Barkatullah University, Bhopal, India, for their infrastructural support for D.Sc. Work. PS acknowledges the grant from DBT, Govt. of India (Grant No. BT/PR27437/BCE/8/1433/2018) and the infrastructural support from the Department of Science and Technology, New Delhi, Govt. of India, FIST grant (Grant No. 1196 SR/FST/LS-I/ 2017/4). This manuscript does not contain any studies with human or animal participants performed by any of the authors.